The Congress on Friday slammed the BJP for what it said was the "politicising" of the surgical strikes by the Indian Army across the LoC on September 29, and accused BJP President Amit Shah of using the issue for political gains. "The people who have been to jail and who have murder cases against them are pointing fingers at others," Congress leader Kapil Sibal said, without naming anyone. "We never imagined the Bharatiya Janata Party will stoop so low. They are questioning the roots of (Congress Vice-President) Rahul Gandhi; they are questioning Jawaharlal Nehru, Indira Gandhi and Rajiv Gandhi," he said. 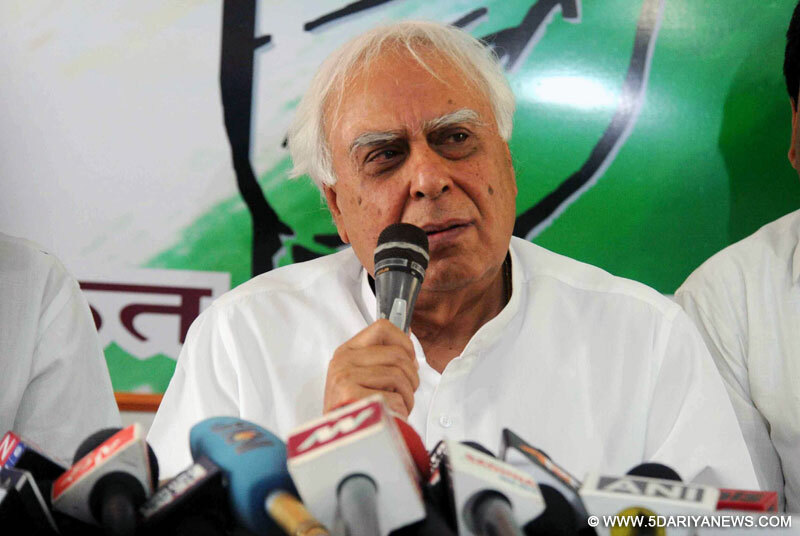 Sibal said Prime Minister Narendra Modi should stop Shah from making such remarks. "Modi ji should speak and stop his party president from making such statements. But how will he do that? He himself is benefiting out of this," the Congress leader said. "Pakistan is a patient; it has cancer; it needs chemotherapy. But one surgical strike will not cure the cancer. Give up this political propaganda and treat the cancer," he said.In a hard-hitting attack, Congress leader Rahul Gandhi on Thursday accused Modi of doing "dalali" (trading) over the blood shed by the Indian soldiers.In response, Shah on Friday lambasted Gandhi and Delhi Chief Minister Arvind Kejriwal for "playing politics" over the surgical strikes.